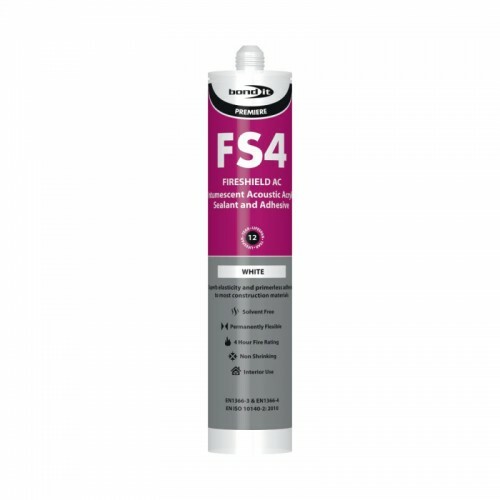 A high performance, flexible acrylic intumescent acoustic sealant, which in the event of a fire, will swell to provide an inert barrier to smoke and flames. It has non-slumping and rapid skinning properties. Note: The fire resistance achievable with Fireshield AC depends upon the joint design, depth of sealant and substrates being sealed. Conforms to EN 1366-3 & EN1366-4; EN ISO 10140-2: 2010. Specially designed to form an acoustic and fire rated, intumescent barrier in construction applications i.e. floor and ceiling joints, dry lining systems, partition walls, etc. It can also be over-painted within 1 hour with fire resistant paint. Up to 4 hour fire rating achievable.